Furthermore, the TR Register's Press Officer and Editor of TR Action, Wayne Scott has been shortlisted by the organisers for Club Ambassador of the Year. The organisers say that this year they have seen the most nominations to date. 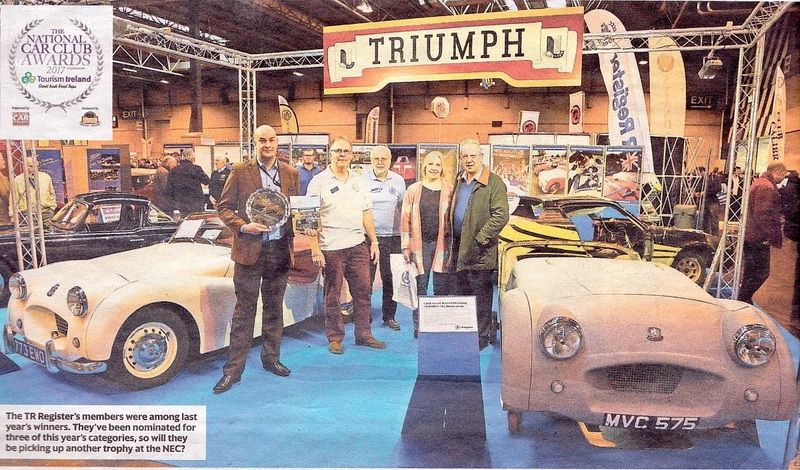 Supported by Classic Car Weekly, and endorsed by the Federation of British Historic Vehicle Clubs, the overall Award winners will be announced at the awards dinner on Saturday 1st April 2017 at Birmingham's NEC. The news comes after the TR Register scooped the prize for "Most Outstanding Magazine of the Year" at the inaugral event last year. 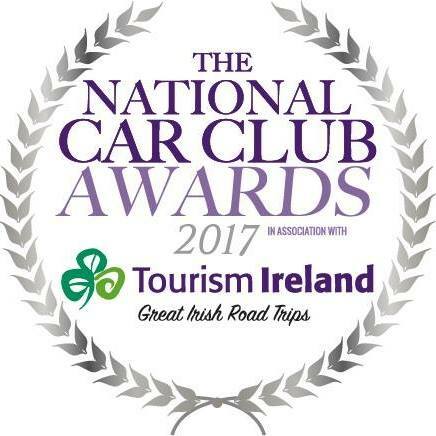 Lee Masters, Director of The National Car Club Awards, said: "We had 209 nominations, which is 25 more than the inaugural year and it's fantastic to see the clubs embrace these awards. Once again, the standard of entries was extremely high with a fantastic mix of clubs of all sizes. "Some of the categories had over 30 entries and reducing these down to a shortlist was extremely difficult, making that place on the shortlist even more valuable and an incredible achievement."